Padrón Family Reserve cigars follow a similar structure established throughout the Padrón family's entire collection: natural and maduro. 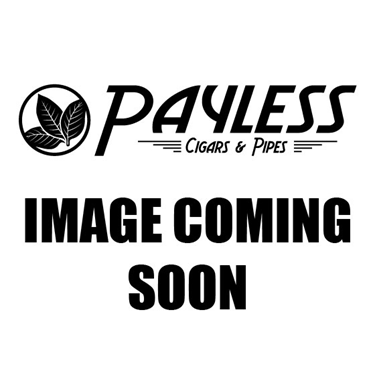 Whether it's Padrón's baseline “Thousand Series,” their more premium 1964 Anniversary Series, or their high-end 1926 Serie, these cigars are all offered in both natural and maduro varieties. The Family Reserve was once a special blend that was only offered at family gatherings and special events. But in 2009, Padrón introduced the Family Reserve No. 45 (named to honor the company's 45th anniversary) to the public for the first time. Since this time, additional sizes have been added to the collection over the years, commemorating other milestones such as the company's 50h anniversary and family patriarch José Orlando Padrón's 85th birthday. On paper, the Padrón Family Reserve makeup is the same as all other Padrón cigars—Nicaraguan through and through. But the Family Reserve—the most premium blend in Padrón's regularly produced lineup—offers a distinct smoking experience from its siblings. The cigars include some of the family's oldest tobaccos, with leaves being aged up to 10 years throughout the blend. Higher primings are also chosen, making for a stronger, more rich and intense smoking character for the seasoned enthusiast. Expect a full body and deep flavors of dark chocolate, espresso, aged tobacco, toasted nuts, raw vanilla, dark stone fruit sweetness, and much more. 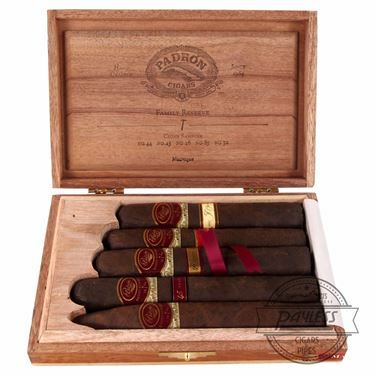 Padrón Family Reserve has won many prestigious awards since 2009, including Cigar Aficionado's No. 1 Cigar of the Year in 2009, No. 4 Cigar of the Year in 2010, No. 4 Cigar of the Year in 2012, No. 5 Cigar of the Year in 2015, and No. 7 Cigar of the Year in 2014.